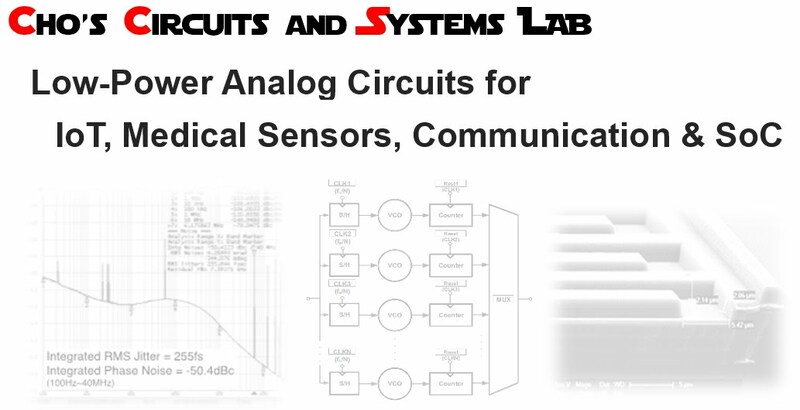 Our main research area is analog interface for medical and CMOS sensors, phase-locked loops (PLL), analog-to-digital converters (ADCs). Recently we are also looking into efficient circuits for machine learning as well as health care using wearable devices. Youngwoo Jo passed his Ph.D. defense Congratulations on his fine work! Jinseok's work on ECG is accepted to JSSC. Ultra high impedance analog front-end for ECG is accepted to JSSC.